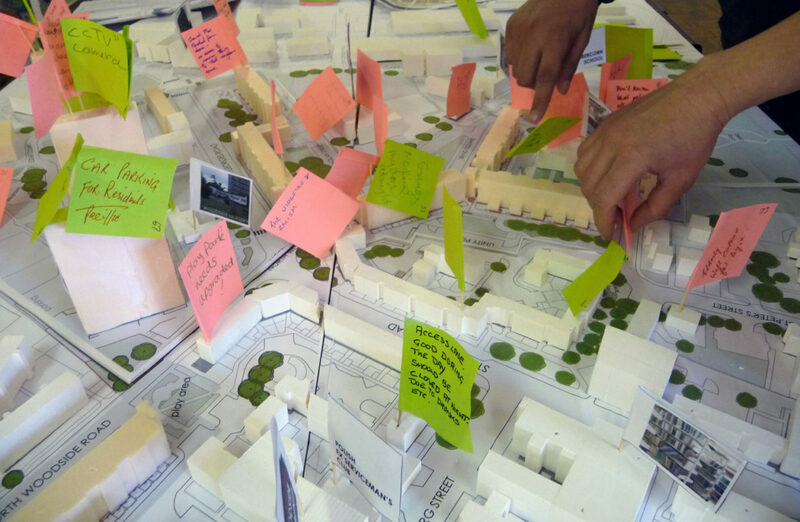 Collective Architecture was appointed by Queens Cross Housing Association to explore development options for the environmental and long term regeneration of the high and medium rise properties adjacent to St Georges Road, within the Woodside area of Glasgow. 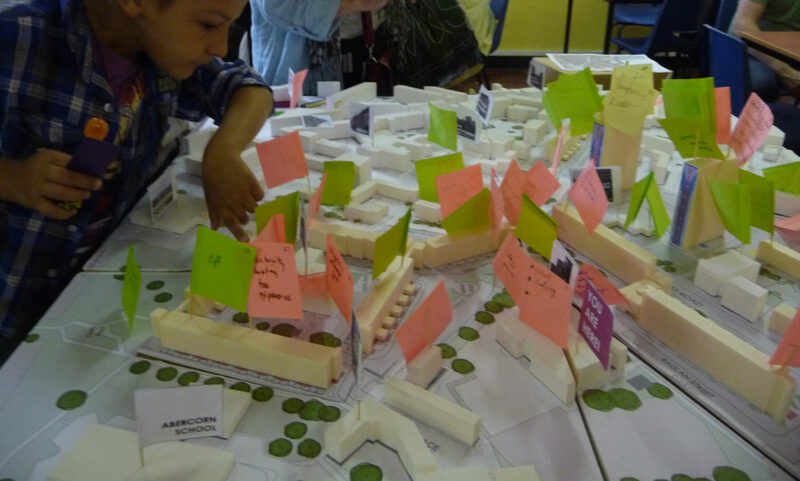 Using information gathered from extensive engagement workshops with residents, community workers and statutory consultants, a series of environmental improvement proposals and a range of options for refurbishment and new build were produced for short, medium and long term implementation. The study area was redeveloped in the 1960s as one of Glasgow Corporation’s Comprehensive Development Areas. 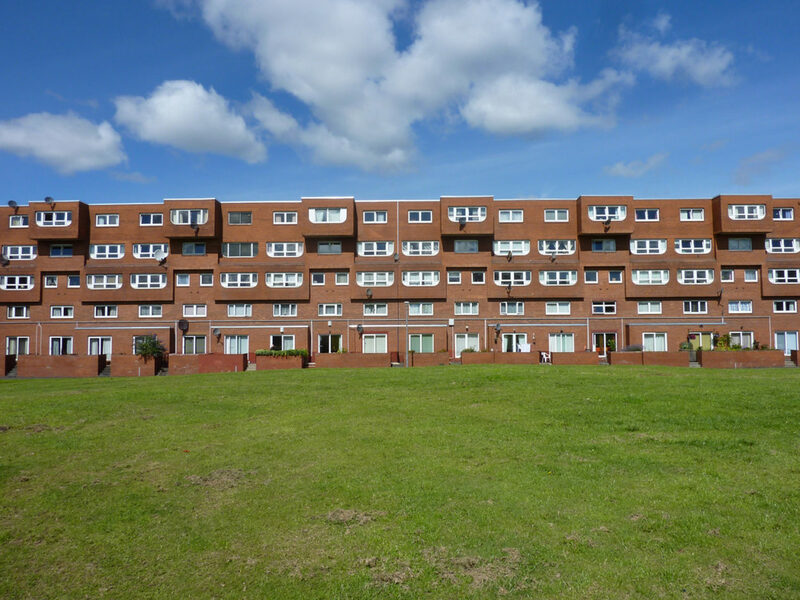 The area contains an interesting mix of housing typologies, including three high rises with distinctive coloured cladding sit prominently on Glasgow’s skyline, and distinctive red brick maisonettes and flats, an example of 1970s ‘innovative’ approach to tenemental scale housing. 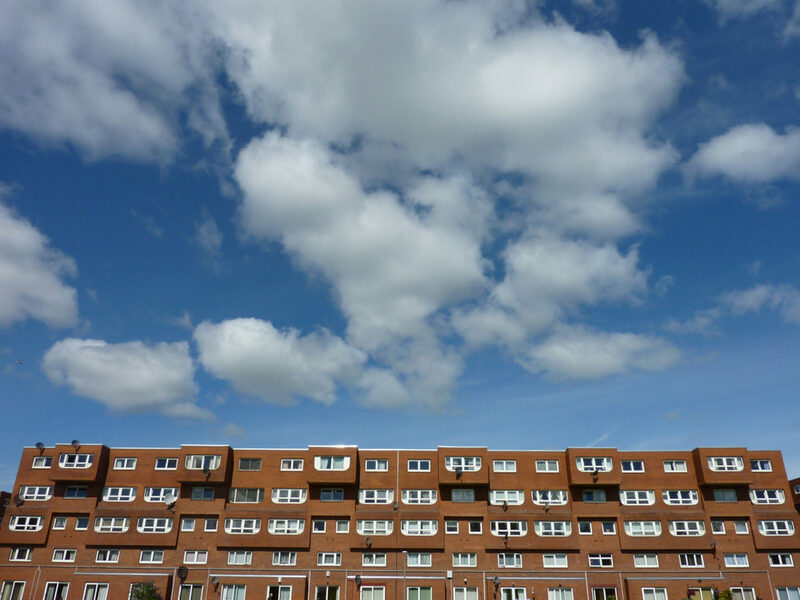 As other CDAs in Glasgow, Woodside has suffered from a lack of investment since the 1980s, with some aspects of the design contributing to a poor environmental conditions and a failure to meet living needs of modern families and an aging population. 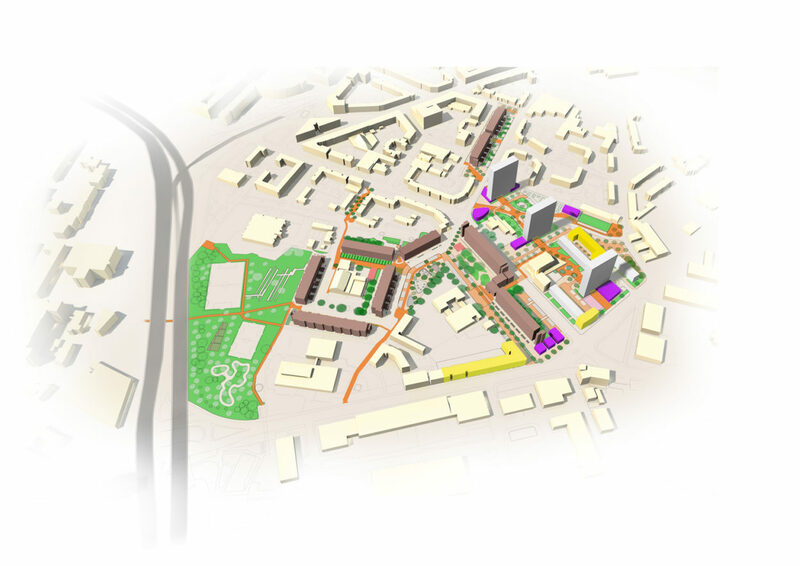 Situated within walking distance of the city centre, adjacent to the up and coming Spiers Locks cultural quarter and with a concentration of public facilities and schools, Woodside has the potential to become a pioneering sustainable community. 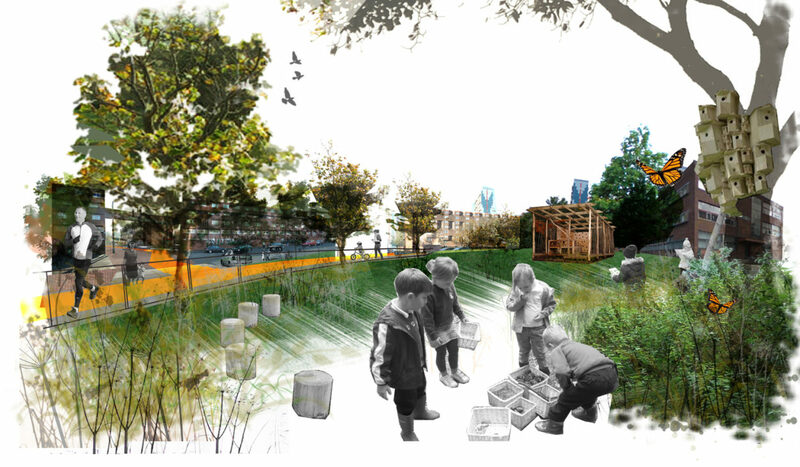 The report takes a sustainable approach to regeneration of the area, recognising the potential of the existing buildings, and proposes a number of interventions to improve the public realm and communal areas over the short term. 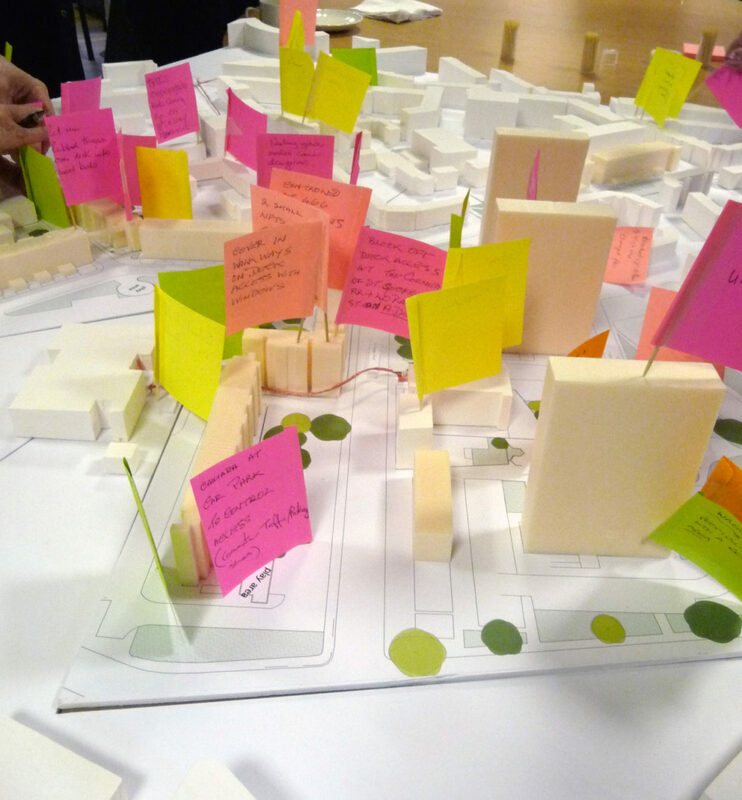 Longer term options include strategies for retrofitting the housing stock to improve environmental performance, and potential new developments that reinstate an urban grain and improve connections with the city centre and surrounding neighbourhoods.